24-hour Emergency Plumbing/Handyman Services for all of Staten Island. Winner of the 2016,2017 Angie's List Super Service Award in 18 Categories ALL PHASES OF HOME IMPROVEMENTS AND REPAIRS,,, We been in business since 1994 family owned. We are Reliable, Affordable Rates Honest, We take pride in our work and treat everyones home as if it was our own. Home remodeling servicing the entire Staten Island. 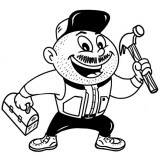 We specialize in plumbing, flooring, kitchens, bathrooms, carpentry, roofing, siding & more. There is no job too big or small. Honest, reliable, affordable prices. WE ACCEPT MOST MAJOR CREDIT CARDS Give us a call today, we would love to hear from you! Making home maintenance high value and low stress using technology and personal service. HomeSquare provides professional home maintenance services to homeowners in Fairfield County, CT and Westchester County, NY. We believe in long-term relationships with our clients. Each has a dedicated property manager assigned to their home to ensure great, personalized service. We also give each customer HomeJotter, the app we build so that you can see all the services on your home, along with the ability to request new services in a snap. Servicing Westchester and Fairfield counties since 2010, Affordable Handyman of Greenwich LLC provides a wide scope of handyman, carpentry and paint services. We are licensed and fully insured in NY and CT.
HomeWorks NYNJ. We are licensed in Westchester and the City of Yonkers, and we carry liability and workers comp insurance. Our Craftsmen all have at least 10 years of experience in their trade. We have won a 2016 Super Service Awards” from Angie’s List. We have received this award for the last 6 years. Per Angie’s List “Only the top 5% of Businesses earn this prestigious award.” We have served over 10,000 customers in Westchester County and over 5000 in Bergen County. Our craftsmen have over 10 years of experience, and we guarantee our work for a year. Handyman Connection works by the job, not by the hour. That way the customer knows upfront what the job is going to cost. If there are materials involved, they are billed separately; but any materials we buy are "passed through" at the cost we incur, there is no mark up. We work in most all the building trades including carpentry, wallpaper, masonry, drywall, ceramic tile/marble installation, and of course handyman jobs. We also can do kitchen cabinet re-facing, faux painting, and kitchen/bath remodeling. You can talk to a live representative M-F from 9AM-6PM. Call us at 914-345-1155 and speak to either Steve or Val. Our e-mail address is Stephenwhite39@gmail.com. Our Website is http:\\westchester-county.handymanconnection.com. Contact us if we can help with a home repair or remodeling project. Let’s face it: we aren’t all skilled in the home repair department. A Keyport handyman, however, should be able install or repair just about anything in your home. 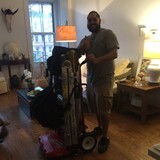 From hanging pictures to repairing appliances, they do it all. Most local handymen in Keyport, NJ are capable of completing any basic home repair, though some may specialize in different skills than others; so if you’ve got a specific job in mind, make sure the handyman service you consider hiring is up to the task. 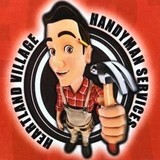 What can a local Keyport handyman do? While home handyman services in Keyport, NJ usually cover most of these things, sometimes it’s better to hire a specialized professional so do certain jobs, especially if it’s related to major plumbing or electrical fixes. Here are some related professionals and vendors to complement the work of handyman: Heating & Cooling Sales & Repair, Plumbers, Electricians, Roofing & Gutters. 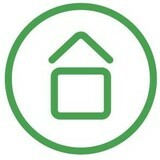 Find a Keyport handyman on Houzz. Narrow your search in the Professionals section of the website to local handyman servicesin Keyport, NJ and read reviews and ratings to find one that fits your needs.